Suspected Boko Haram gunmen shot dead at least 42 people in two separate attacks in northeast Nigeria, with no let-up in sight to the Islamist group’s targeting of civilians. The attacks in the remote villages of Debiro Hawul and Debiro Biu in Borno state on Monday and Tuesday came before at least 10 people were killed in a suicide attack in neighbouring Yobe. In all, nearly 250 people have been killed in Nigeria since Muhammadu Buhari became president on May 29 vowing to crush the militant uprising that has claimed at least 15,000 lives. The latest attacks saw some 30 militant fighters storm Debiro Biu on Monday and Debiro Hawul the following day, with reports taking time to emerge because of the villages’ remote location. “We received reports of attacks by suspected Boko Haram gunmen on the two villages, in which 42 deaths were recorded,” one police officer told AFP from the town of Biu. Umaru Markus, who fled Debiro Hawul, said the attacks were carried out by some 30 Islamists in a convoy of pick-up trucks and motorcycles. The rebels shot dead their victims after looting homes and shops and setting fire to buildings, he added. “They came around 12:30 am and opened fire on the village, which sent people scampering into the bush to escape the attack,” he said. “The gunmen slaughtered 22 people who were not fast enough in fleeing and went about looting homes, grains silos and drug stores.” The attack on Debiro Biu left 20 people dead, he said. “It never occurred to us we would be the next target,” he added. BOKO HARAM VICTIMS—A relation of one of the officers and soldiers killed in Borno, Yobe states and Unamid weeping during their burial at the National Military Cemetery in Abuja, yesterday.Photo: Abayomi Adeshida. 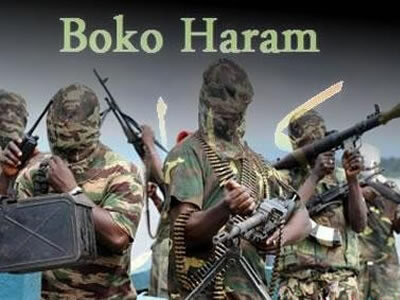 Both attacks again indicated the threat posed by Boko Haram, who have been pushed out of captured towns and villages by a four-nation military offensive since February. But deadly raids, shelling, explosions and suicide attacks on “soft” targets such as markets and mosques have continued. On Tuesday, 10 people were killed when explosives carried by a girl thought to be aged just 12 detonated at the weekly market in the village of Wagir, south of the Yobe state capital, Damaturu. Thirty others were injured in the attack, which bore all the hallmarks of the Islamists, who have used women and young girls as human bombs since the middle of last year. Security analysts studying the phenomenon have suggested that younger girls may have their explosives detonated remotely by a third party. Ending the insurgency is a priority for Buhari and his administration. The new president has already visited Chad and Niger to secure sustained regional support for the fight-back. On Tuesday, his office said he had accepted an invitation to go to Cameroon, whose far north region has been increasingly hit by the violence. A new regional fighting force comprising 8,700 troops from Nigeria, Niger, Chad, Cameroon and Benin is due to deploy at the end of next month. But there will be pressure to counter Boko Haram’s urban guerrilla tactics to which it has reverted after it captured swathes of territory last year.